Spin and Win Casino is known for its variety of gaming possibilities. Licensed and regulated under the laws of Alderney through Daub Alderney Limited, Spin and Win Casino is a safe and secured online casino. 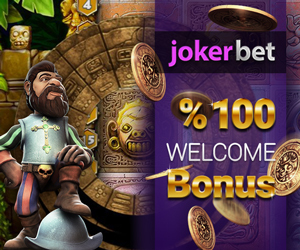 New players joining the casino will receive 100% match bonus on their first deposit, up to £500 free + 100 Free Spins. Further bonuses that players’ get is on their 2nd and 3rd deposits; 100%, up to £250 free + 100 Free Spins and 100%, up to £250 free respectively. 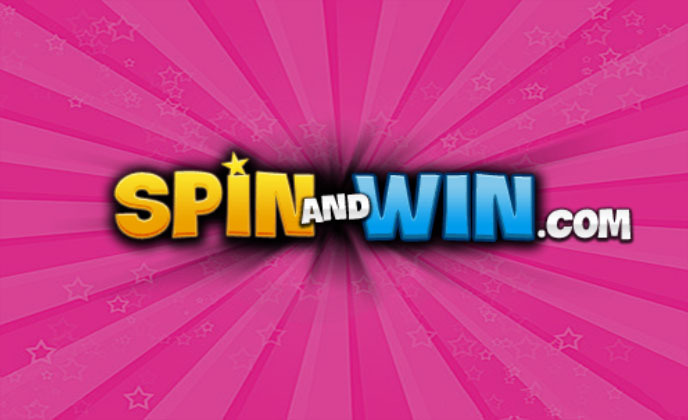 At Spin and Win, players have the choice of accessing their favourite games via their PC’s, laptops, mobiles and tablets. Following the makeover in terms of website’s layout, players’ will find that navigating throughout the online casino has been made much easier. The Loyalty Program at Spin and Win Casino is unique in its way since players are rewarded like royalty. Loyalty Points, Weekly Promotions, Weekly Deposit Match Bonuses, Daily Deposit Match Bonuses, and Weekly Cashback form part of the loyalty program that players’ will benefit of, while being a member at Spin and Win Casino. The set of games found at Spin and Win Casino are sensational, with new games added on a regular basis. Table Games, Roulette, Scratch Cards, Progressive jackpots, Slot and Live Casino games are the type of online games offered at the online casino. The games are from various well-known game providers such as IGT, Microgaming, Eyecon, DaGaCube, NetEnt, Gaming Lab, Play’n Go, Realistic Games, Scientific Games, Shiftech Games and Geco. Among these are the popular Fluffy Favourites, Pixies of the Forest, Da Vinci Diamonds, Thunderstruck II, Piggy Payout, Immortal Romance, Cashapillar, The 50,000 Pyramid, Coyote Moon, Jurassic Park™ and many more. Spin and Win Casino players will also have the opportunity to play on some exclusive games which have been specially created for the online casino. These include the Grease Slot games which carry their own progressive jackpots, Lady Luck Deluxe, The Lost Slot of Riches, Jazz Cat Slot, Bubble Time Slot, Cute & Cuddly Slot, Cash Scoop Slot and Santa’s Stash Slot. Some of the new games that have seen the daylight at Spin and Win Casino are Montezuma, Amazon Queen, Moon Shadow, Fire Queen and Wizard of Oz. Banking methods are easy, safe and expedite at Spin and Win Casino. Players have various deposit methods such as Maestro, MasterCard, Solo/Switch, Visa, Visa Delta, Visa Electron, PayPal, Neteller and Paysafecard. Players can withdraw via the same depositing methods along with Banker’s Draft. To ensure a smooth playing time at the online casino, a friendly customer service team are always on hand to assist players 24/7 no matter what query they may have regarding to their account, the site or even a promotion.